Why O’Neill? Advancing knowledge, launching careers. Gain the necessary skills for independent research and analysis of problems, issues, and solutions in government and the nonprofit sector in four major fields. Develop skills and training in the basic and applied sciences with the objective helping manage, mitigate, and avoid environmental problems. As a doctoral student at the O’Neill School, you will become part of an exclusive community of top researchers and academic leaders. You will learn from some of the world’s most sought after academics and research with experts who are leading the way toward global change. You’ll graduate ready to take your place among them—joining their ranks at academic and research institutions across the country. 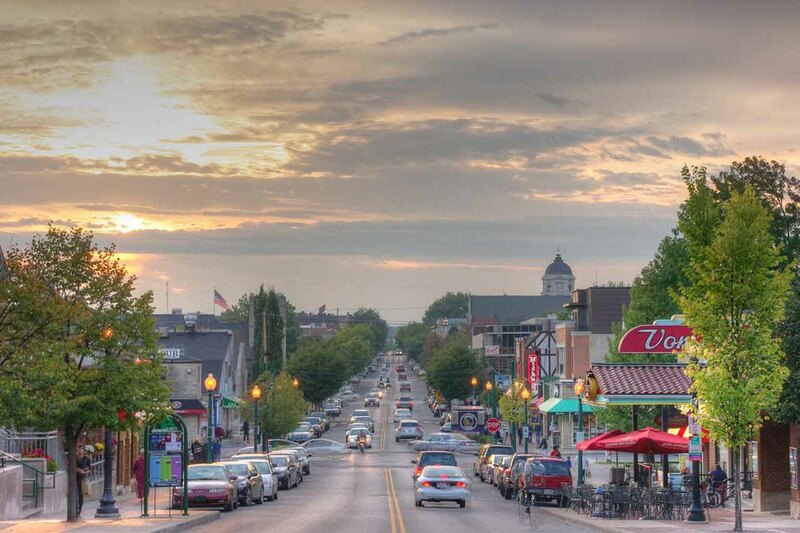 Bloomington, Indiana will surprise you—we’ve been called a sophisticated small town with students from all 50 states and more than 125 countries. Our accolades are many—from New York Times to National Geographic—we are a destination for outdoor adventure, a thriving arts scene, and one of the best foodie cultures, anywhere. And that doesn’t even begin to cover life on a Big Ten campus!